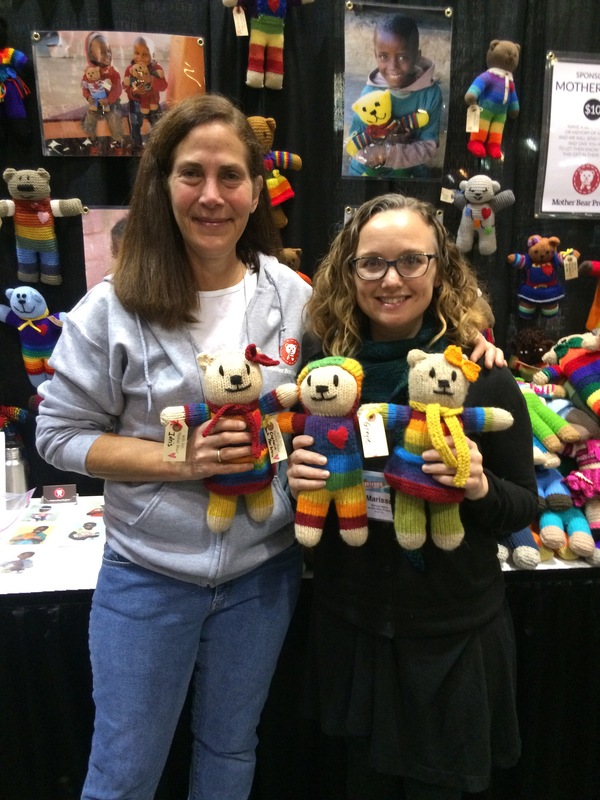 First I spent some time volunteering in the Mother Bear Project booth. 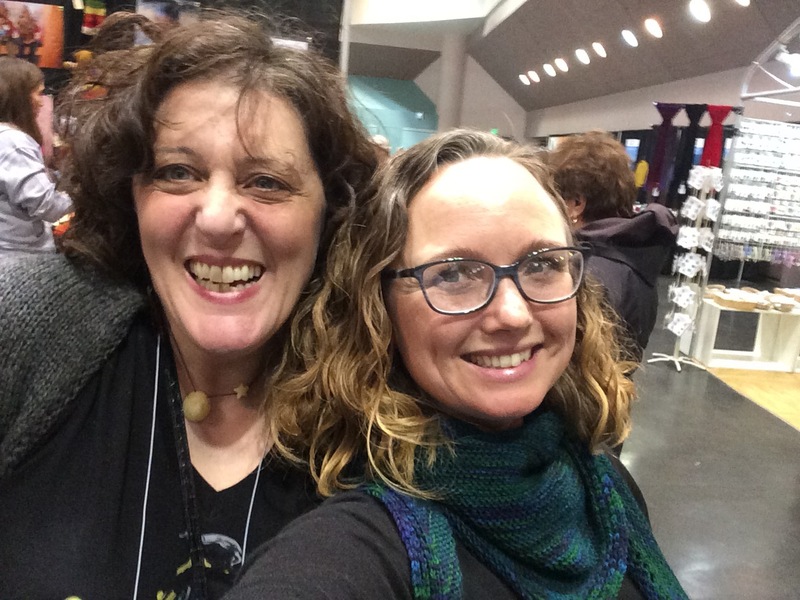 I saw one of my first knitting friends, whom I hadn’t seen for about 9 years! 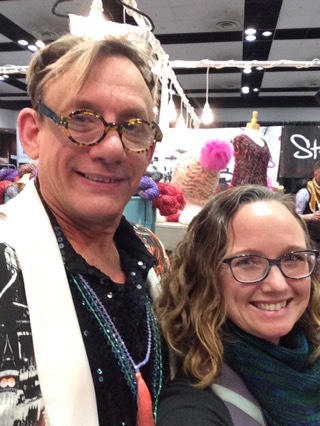 And I did some shopping and especially enjoyed Steven Be’s booth. Aside from this loot, I also bought some mauve Miss Babs Yowza, which I haven’t photographed yet. 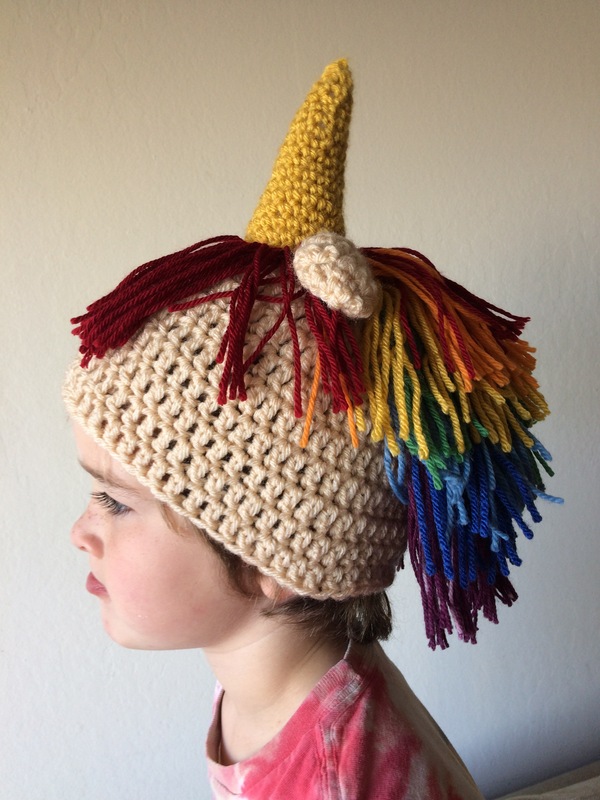 Last night I finished my rainbow unicorn hat, and this morning the Wee Boy and I took some photos. 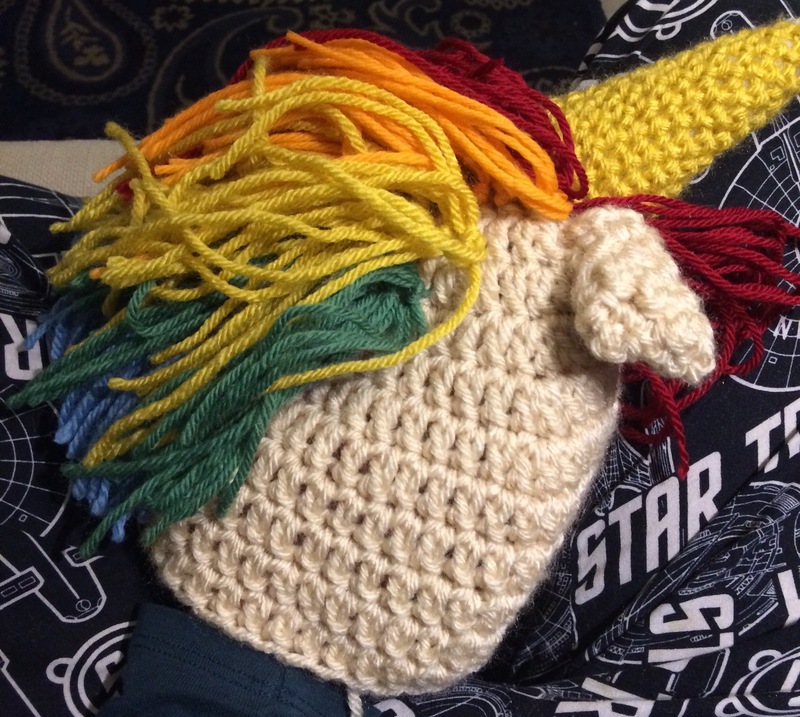 I think the mane is pretty awesome! I spent a good amount of time last night trimming the ends to 4″. One of the parents in charge of the auction is pretty enamored of it, and thinks there will be a bidding war for this guy. I hope so! Just pretending to be grumpy! 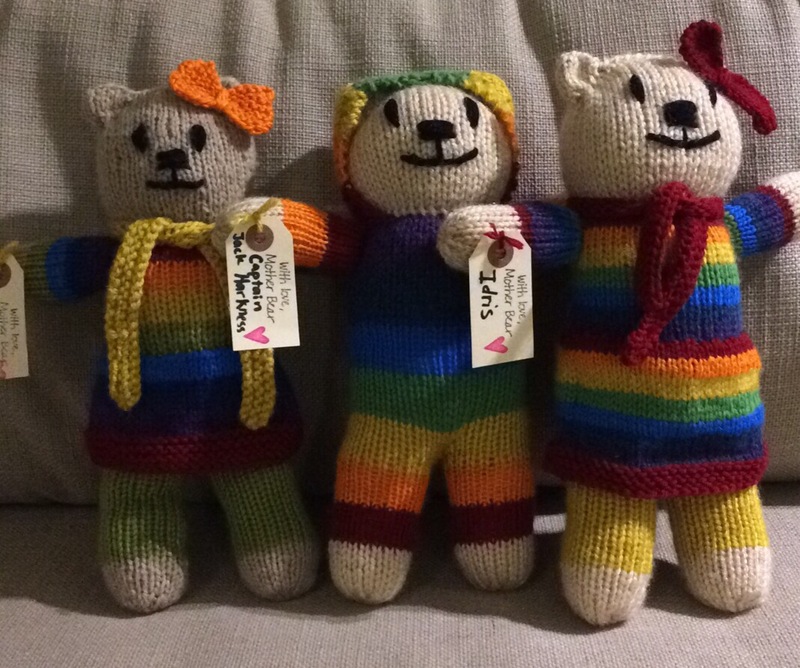 With the rainbow theme, I have three rainbow bears to deliver to the Mother Bear Project at Stitches West tomorrow. 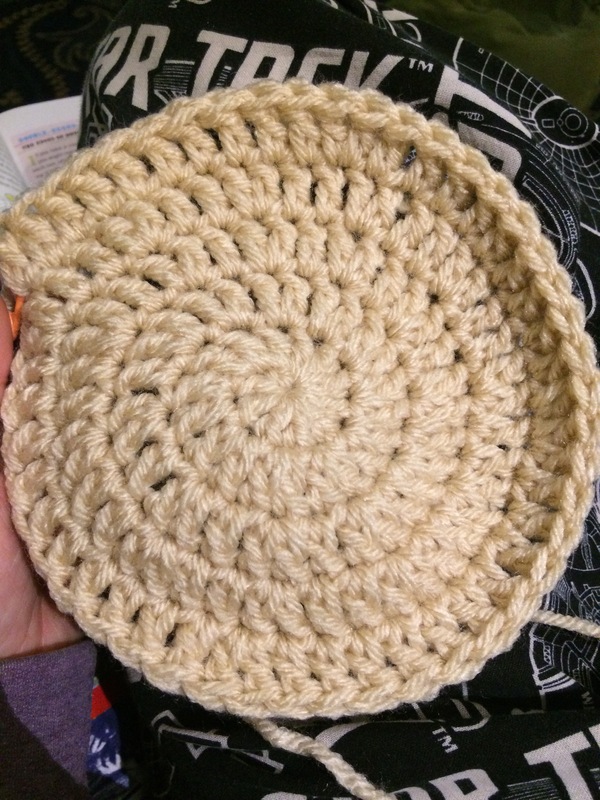 I love this spiral! I would crochet so much more if I could do it without painful results. As it is, I’m risking it…. 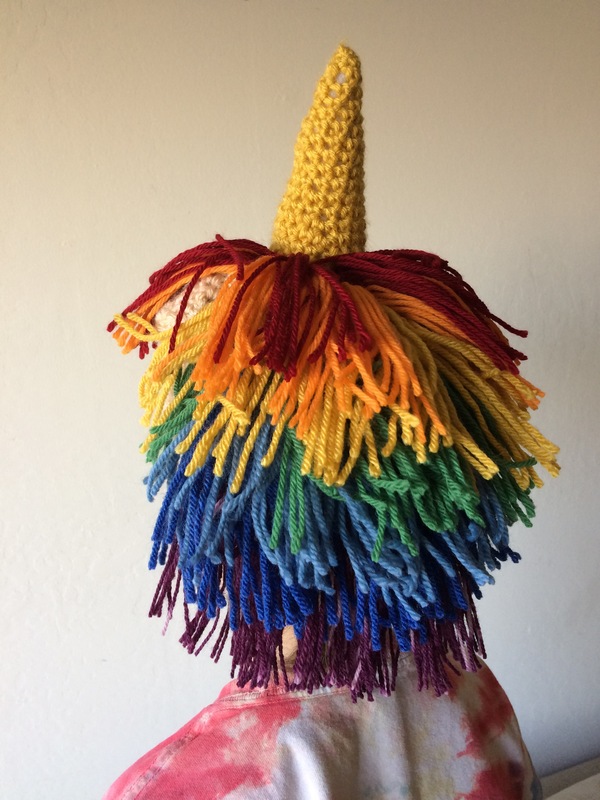 but it’s so fast, and great for structured items, like the unicorn hat this will be! It’s my last installment for our preschool auction, and I think it’ll be really cute. 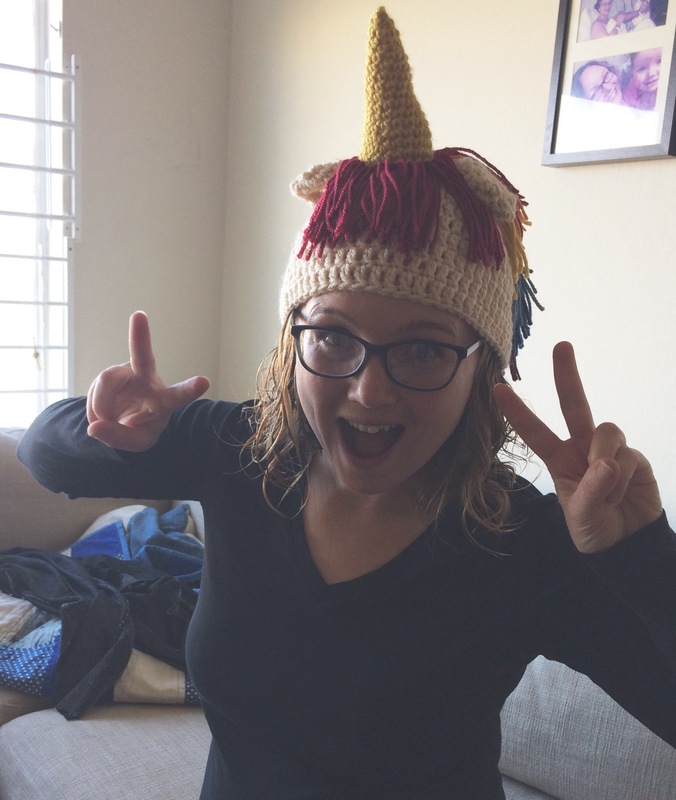 And today I quickly crocheted a cute little owl hat. 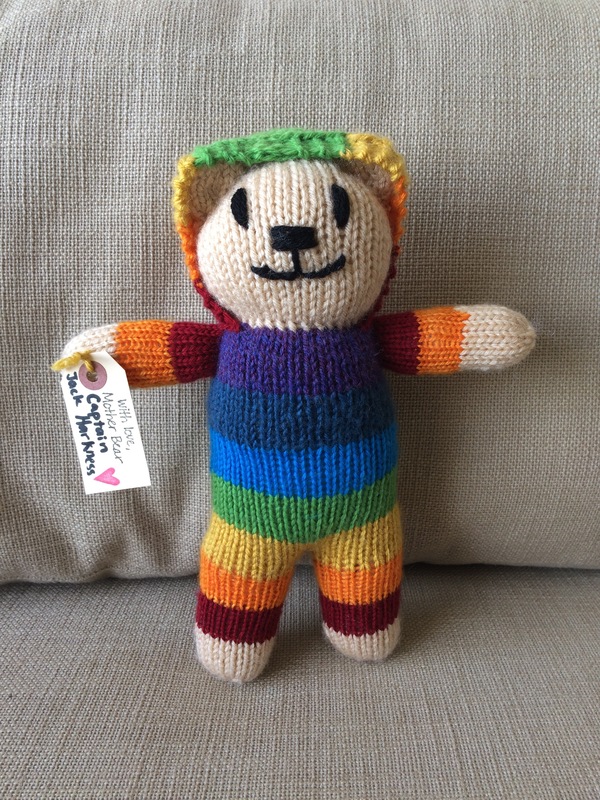 Last night I finished my second rainbow bear to take to Stitches. Meet Captain Jack Harkness, named for the smart, sassy character played by John Scott Barrowman in Dr. Who. 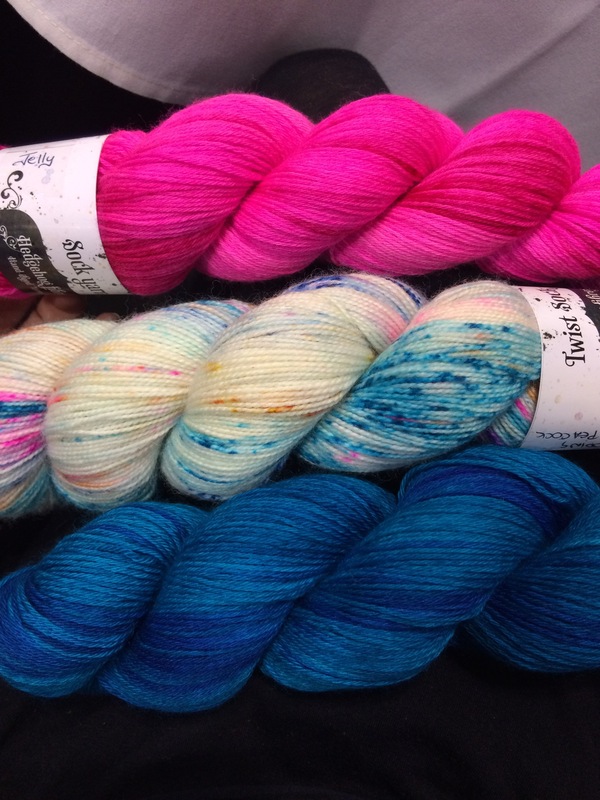 The hoodie is so fun to knit- it’s a nice change from the scarf, and uses up a good deal of yarn (stashbusting! ).